In Paper > Maps > Show & Tell. 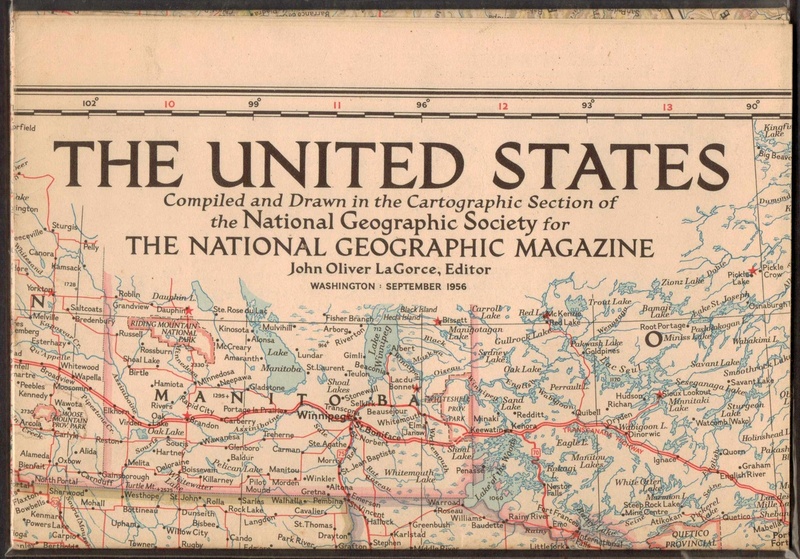 This is a 1956 United States wall map from National Geographic Magazine. 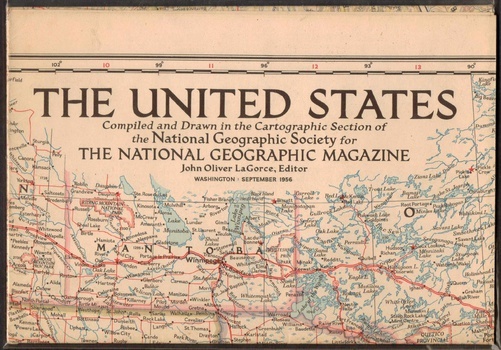 Compiled by the cartographic section of the National Geographic Society in Washington, D.C. - A supplement to the September 1956 issue, stored in an acid-free plastic envelope, never unfolded or hung. - Also shows some sections of Canada and Mexico - only 48 U.S. states at printing time.